We feature a large selection of windows and doors, so it is easy to find a style that meets your needs. At Jim’s Glass, we are proud to use products from the highest quality manufacturers, allowing us to offer you the best in window installations. We back our product and installation with a one-year installation warranty as well as limited manufacturer’s warranties. Jim’s Glass maintains both commercial and residential crews who are experienced at the installation of virtually any window type in almost any building. Our teams are available for quick service, and we offer 24-hour emergency telephone access, 7 days a week. We invite you to call for a complimentary consultation and discuss your home improvement options with our skilled sales staff. A beautiful shower enclosure enhances the appearance of your bathroom – from enclosures with privacy glass for family bathrooms to clear shower systems that bring elegance and space to your bathroom. 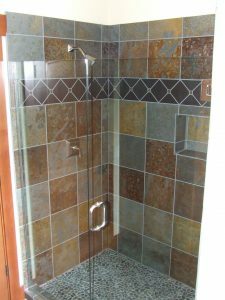 At Jim’s Glass, we offer a wide variety of custom shower enclosures and doors with various finishes and glass options to complement your bathroom decor. Our doors are designed to the highest standards, providing you with years of beauty, durability, and reliability. Our products differ from those purchased in major retail stores as they are custom built to fit your space and personality. Please visit www.holcam.com for more product details. We offer a selection of windows specifically engineered to fit into the structural integrity and architectural style of your home. The installation of new windows in a home adds both value and comfort. Jim’s Glass can replace your old windows with new, providing an updated look on your house and energy savings, resulting in a more comfortable and efficient home! The most important part of your window retrofit is the quality of the installation. At Jim’s Glass, we have the most experienced and qualified craftsmen in the area for window retrofitting. We provide them with the resources and tools necessary so you will receive the professional installation that you deserve. Our windows are made-to-order and specifically designed for replacing old windows. We can replace windows of any style, shape or frame type. They are custom built to your order, so we’ll match your existing window sizes – there’s no need to disturb your home’s structural framing. New windows in your home will provide more comfort, giving you warmer winters and cooler summers! We work with the finest quality window manufacturers to offer you a wide array of windows that will fit your needs and your home’s architectural style. Let our professionals help you choose the right windows for you! For additional product information please visit. Whether you are seeking to enhance the ambiance of your kitchen, bath, living room or bedroom; new windows, doors or mirrors can make a dramatic impact on your home’s interior appearance. 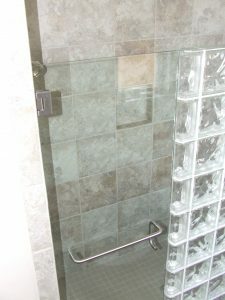 Whatever your remodeling needs, Jim’s Glass will provide you with personalized consultations. Jim’s Glass provides customers with various samples to try at home before the purchase. Whether you want to keep the heat out in the summer or in during the winter, our team will work with you to determine the best doors and windows for your home that will deliver both comfort and savings. Properly selected and installed windows and doors enhance the comfort of your home significantly during cold winters and hot summers by reducing drafts and air leakage. It is our goal to meet the most demanding criteria for weatherization needs… the homeowner. Enhance your living or workspace with the addition of natural light! The professionals at Jim’s Glass can help you select skylights that will bring natural light into your space. Bringing the outside in lifts spirits, makes spaces appear larger, reduces eye strain and lessens electrical demand. You can easily brighten up dark or dull areas of your home or workplace with natural light. Available for both residential and commercial applications, Jim’s Glass has a wide array of sizes and styles to choose from. Visit the experts at Jim’s Glass today to learn how we can brighten up your day! Jim’s Glass has a wide array of reliable entry doors, patio doors, and storm doors to add safety and value to your home! Entry doors are essential first impressions and enhance the curb appeal while providing security. We help you select a door for your home that complements the architecture and reflects your personal style. With a wide variety of art glass, patterns and colors Jim’s Glass is sure to find the perfect door for your home and personality. Our selection of glass patio doors, whether sliding or hinged, add to the value of your home and give you a beautiful transition from your interior to your exterior space. Properly selected and installed doors can reduce drafts and add safety to your house. We have a large number of styles available to match your existing windows and doors. Jim’s Glass storm doors are long-lasting, energy-efficient and attractive. Whether you want a full view storm door to showcase your home’s entry, a door that helps seal out drafts or a screen-fitted door to ventilate your home, we have the storm doors to fit your needs.